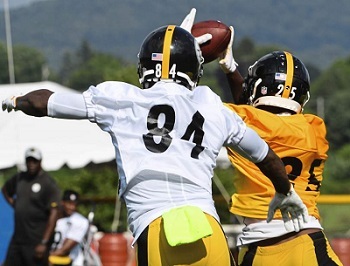 Along wih the second week of OTA’s, news week a little more real “news” came out of the South Side in a move that saw the Steelers sign Jerald Hawkins, the offensive tackle out of LSU who was their 4th round pick in the 2016 NFL Draft. But honestly folks, rookie draft picks signing no longer count as “news” in today’s NFL. However, with the ink drying on his rookie contract, Jerald Hawkins can now turn to a more pressing task at hand – breaking recent trends with Steelers 4th round draft picks and offensive tackles. 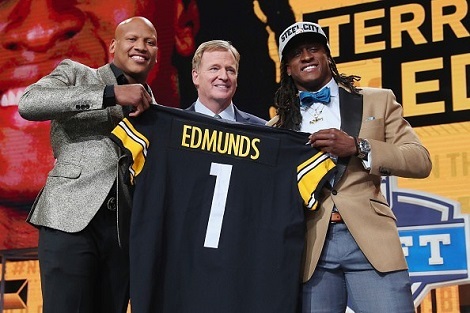 As the Colbert Record noted the day before the Steelers drafted Hawkins, Kevin Colbert and Mike Tomlin’s record with 4th round draft picks is outright horrible. Landry Jones is arguably the most accomplished player the duo has drafted in the round, with Cortez Allen flashing before fizzling out, and Martavis Bryant threatening to toke himself out of the league. Suffice to say, Jerald Hawkins is fighting some history. And then there is the Steelers recent record at offensive tackle. The Steelers drafted Marcus Gilbert in the 2nd round of the 2011 NFL Draft, and while there’s been some grousing outside of the organization, the Steelers haven’t looked back since turning over the right tackle position to him after Willie Colon was lost in 2011’s Opening Day Debacle at Baltimore. Outside of that, nothing else has gone according to script. 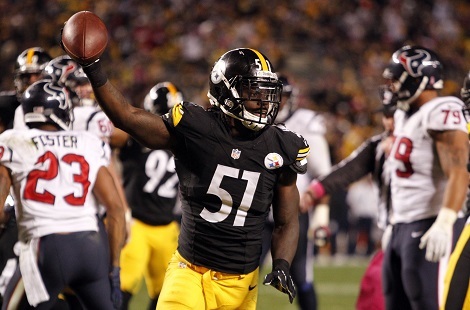 Tony Hills was drafted in the 4th round of the 2008 NFL Draft at spot 130, or 7 picks later than Jerald Hawkins, and the Steelers got all of four games out of them, and most of that was spot duty. Ouch! 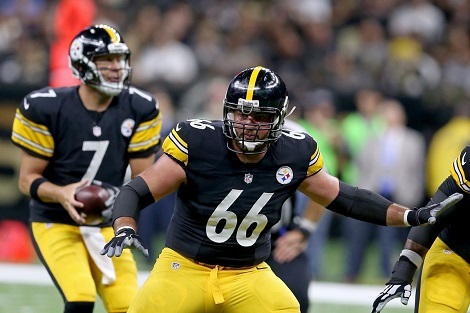 After drafting David DeCastro in 2012, the Steelers went back to offensive line and took Mike Adams. They thought so much of him, hoping he’d start at left tackle, that they moved Willie Colon to guard. Adams failed to win the left tackle spot, so it was Max Starks to the rescue one last time. Adams played well enough at right tackle when Gilbert got injured in 2012, but his stint as starting left tackle in 2013 was an unmitigated disaster, with his chronic inability to protect Ben Roethlisberger’s right side led to some of the worst play of Roethlisberger’s career. Of course he was succeeded by Kelvin Beachum, 2012’s 7th round pick, and then again by Alejandro Villanueva. 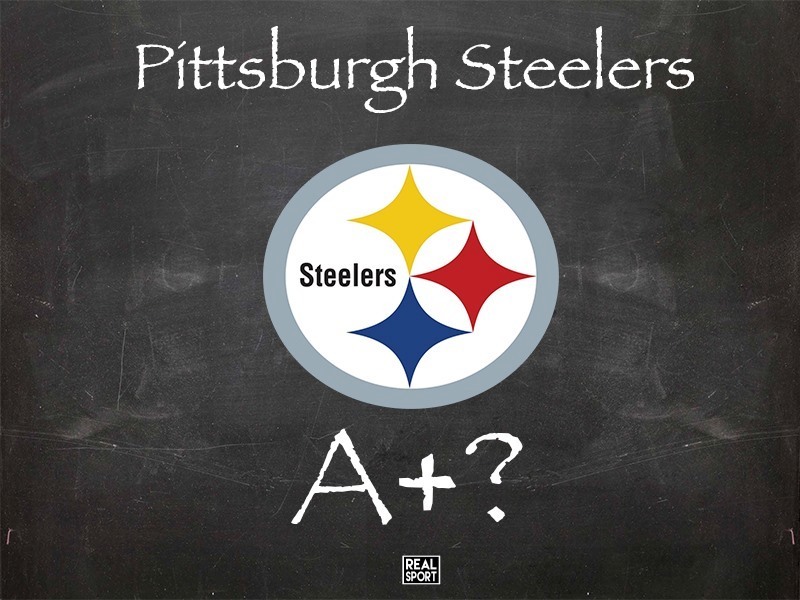 The Steelers thought enough of undrafted free agent Villanueva, who didn’t even play tckle in college, and Hawkins potential, that they cut Mike Adams. If you told any of this to Mike Tomlin, he’d likely scoff and retort, “I’m not concerned about anyone else, Jerald Hawkins is writing his own story.” And so he is. Trends can be fun to write about, because they so often help depict larger truths. Until they don’t. Stephon Tuitt offers a perfect example. Not too long after the Steelers drafted him, this site wrote a similar post about how Tuitt arrived in a fight against Steelers history with 2nd round defensive tackles AND players from Notre Dame. It says here that Brett Keisel was in NO way a liability during his final season with the Steelers in 2014. But it is also true that the Steelers defense played its best football during the final four games of 2014, after an injury had ended Kesiel’s career. Starting this summer at St. Vincents in Latrobe, Jerald Hawkins will indeed get his chance to write his own story. News of a Senquez Golson MRI is not encouraging…..
As the Observer-Reporter’s Dale Lolley indicated, “But Golson was at the facility and then left. I learned that he was leaving to get an MRI.” There are a couple of interesting points to this. First, none of the other credentialed reporters appear to have picked up the story, so if this story has legs, then Lolley will have made another Steelers secondary scoop, just as he did when he broke the news of Shamarko Thomas’ benching. Second, as Lolley points out, this move could be a precaution. Senquez Golson, who was the Steelers second round pick in the 2015 NFL Draft, lost his rookie season to shoulder surgery. Thus far Golson has participated fully in Steelers OTA’s and has reported felling well. 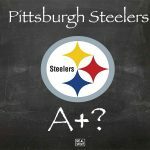 While fans and bloggers really don’t have enough information to make informed judgment, to an outsider’s eye, the Steelers do sometimes seem to procrastinate when it comes to medical issues. In 2012, James Harrison had knee surgery deep into training camp, slowing his start for the rest of the year. Last season, both Bruce Gradkowski and Mike Adams showed up at training camp on the PUP list, and both ended up needing surgery. 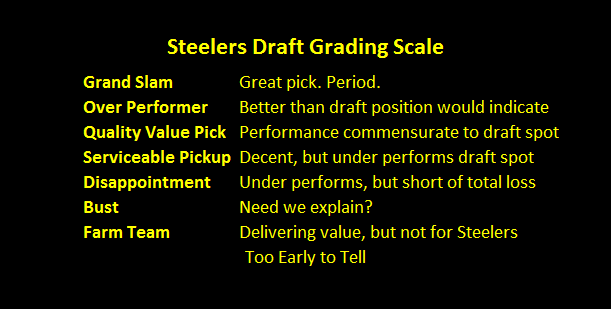 So perhaps the Steelers are just being cautious with Golson. If so, then the Senquez Golson MRI story will quickly fade from memory before the first drop of lighter fluid douses a brick of charcoal to inaugurate the first Memorial Day cookout. But if there is fire behind the smoke created by Senquez Golson’s MRI then the Steelers will have a real problem on their hands. William Gay now qualifies as the Dean of the Steelers secondary, with Ross Cockrell, he of the 7 starts, standing as the unit’s second most experienced cornerback. After that, the only other experienced corner the Steelers have is Donald Washington, the same Donald Washington who last played an NFL game in 2011 and had trouble holding on to a roster spot in the CFL. So be it. Kevin Colbert and Mike Tomlin went all in on Steelers youth movement at cornerback during free agency. And Brandon Boykin getting cut last week lent a lot of credibility to their addition by subtraction philosophy. Roster building in the salary cap era involves making calculated risks by weighing trade offs and opportunity costs. Sometimes these workout, sometimes they don’t. A year ago, the Steelers lost Kelvin Beachum and lucked out when Alejandro Villanueva stayed healthy and played above the line. Yet, injuries to Le’Veon Bell, DeAngelo Williams have forced the Steelers to start their 4th string running back in their last three post-season contests. And who can forget the offensive line depth disaster that led to the 2013 Steelers 0-4 start. Hopefully, Golson’s MRI is nothing more than the NFL equivalent of a “Well baby visit,” because this is one spot on the depth chart where the Steelers have little margin for error.